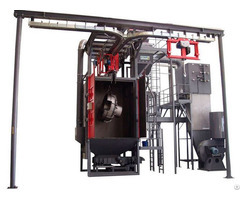 Hook Type Shot Blasting Machine Manufacturer JX Offers Hook Type Shot Blasting Machine, Multiple Sizes, Fatigue Strength, High-efficient Blast Wheels. 1. 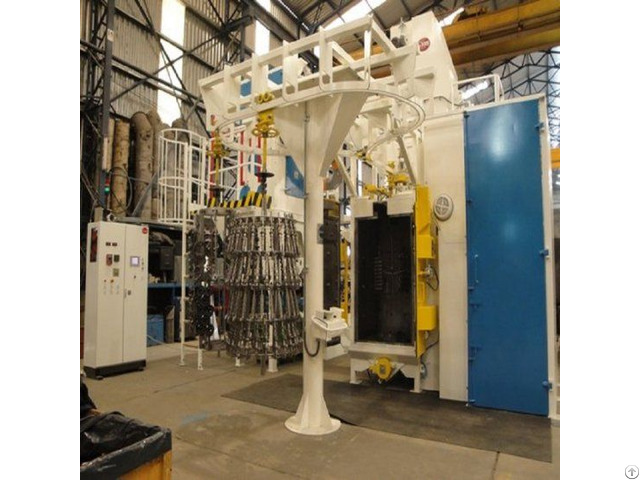 Hook Type Shot Blasting Machine is a kind of high efficiency shot blasting machine with non-pit. 2. Large inner available cleaning space, compacted structure and scientific design, can be designed and manufactured according to the order. 3. 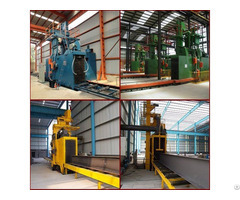 No special request for the work piece structure, can be used for different kind of work pieces. 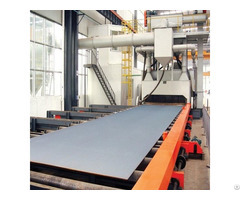 Hook Type Shot Blasting Machine are used for desanding and decoring of pieces. small, medium and very large parts can be economically cleaned.